The testing, examination or trial of a person during a period of time. "Probation, by the very Latin roots of the word, means a testing to determine character and qualification. It is a judicial act of grace and clemency ... under which the execution of a harsher sentence is suspended and a milder one is substituted on the very clear understanding that the harsher one will be reimposed if the person being tested fails to honour certain terms and conditions." 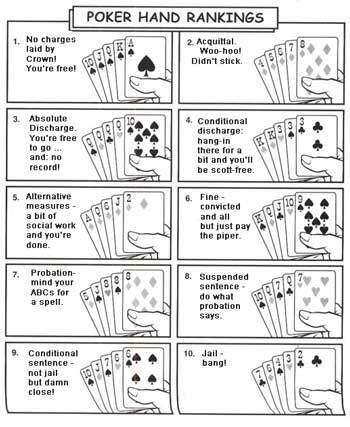 A probation order is often construed as a test meted out by the Court to the convicted person; essentially saying in enforceable legal terms, "'do this and that' during a certain period of time; keep the peace and be of good character; don't let me see you here again". "The action or process of testing or putting to the proof; trial, experiment, investigation, examination. "The testing or the trial of a person's conduct, character, or moral qualifications; a proceeding designed to ascertain these: esp. in ref. to the period or state of trial. "In criminal jurisdiction: A system of releasing on suspended sentence during good behaviour young persons, and especially first offenders, and placing them under the supervision of a probation officer, who acts as a friend and adviser." In criminal law, where the term is mostly used, it refers to a kind of deferred punishment given out as part of a sentence. Instead of jailing a person convicted of a crime, a judge will order that the person reports to a probation supervisor regularly and according to a set schedule. It is a criminal offence not to obey a probation order and is cause for being immediately jailed or having imposed the heavier sentence deferred by the probation order. "Where a person is convicted of an offence, a court may, having regard to the age and character of the offender, the nature of the offence and the circumstances surrounding its commission, (a) if no minimum punishment is prescribed by law, suspend the passing of sentence and direct that the offender be released on the conditions prescribed in a probation order; or (b) in addition to fining or sentencing the offender to imprisonment for a term not exceeding two years, direct that the offender comply with the conditions prescribed in a probation order. "A court may also make a probation order where it discharges ...."
If someone is "on probation", that means that they are presently under such a Court order. such other reasonable conditions as the court considers desirable...."
The courts have been creative with probation orders causing a bit of a judicial stir every time creativity arises. In R v Reed, a probationary term, that the person abstain from meeting of the Jehovah Witnesses, was upheld by the British Columbia Court of Appeal. "... accept treatment as may from time to time be recommended by Dr. Hunt or his nominee including the taking of prescribed medication in the manner so prescribed...."
This was successfully challenged and the term struck down by the Saskatchewan Court of Appeal.